The birth of the Hong Kong Arts Centre (HKAC) in 1977 is epochal and closely related to the concept of “three”. Three founders: Tao Ho, Bill Bailey and King-man Lo, stood up and voiced out for a non-government arts organisation “of the people, for the people and by the people”. Three-in-one nature: HKAC is “a venue” for the arts, “an organisation” for arts programmes and “a platform” to foster art groups; by this pioneering model, the HKAC shapes of the Hong Kong art landscape. Triangular structure: the unique triangular structure of the HKAC building is the full embodiment of the Bauhaus style, which combines aestheticism with practicality, incorporating theatre, recital hall, galleries, studio, office space and even food and beverage facilities within a land of 10,000 square feet. To celebrate the 40th anniversary of the HKAC, the exhibition intends to recognise the historical and artistic significance of the HKAC, and to search for new insights for the future. At its mid-age, the forty-year-old HKAC has accomplished a lot, and even more to achieve for the next forty years. The HKAC was the dream of Tao Ho, Bill Bailey and Lo King-man. Tao Ho became its chief architect and initiator of HKAC’s early programmes. Bill Bailey, being the then-Secretary of the University Grants Committee, lobbied with senior civil servants. King-man Lo represented the community and the academia. The vision of the “three musketeers” was supported by local art groups. In 1971, the three announced the establishment of the HKAC. A piece of land for its construction was granted in 1972 by the then Governor of Hong Kong, Lord Murray MacLehose, after much petitioning from arts groups. In the same year, the HKAC held its inaugural exhibition using a venue lent by the Bank of America. As the Government did not provide any construction funding, much rigorous fundraising was required before construction could commence in 1975. Generous donations from many local art lovers such as Madam Chow Kwan Suk-yee, Mr Ronald and the Hon Mrs Rita McAulay, Sir Pao Yue-kong and family and Sir Run Run Shaw should never be forgotten. The site given for the HKAC measured a timid 10,000 square feet only. Ho came up with a revolutionary design incorporating galleries, a concert hall, a theatre, rehearsal rooms, auditoriums, and a variety of other facilities within a 16-storey building with a magnificent four-storey atrium plus disabled facilities, which was the first in Hong Kong. The triangular structural feature was pragmatic, daring and economical for construction, cover the ceiling, the floor and various interior and exterior surfaces. 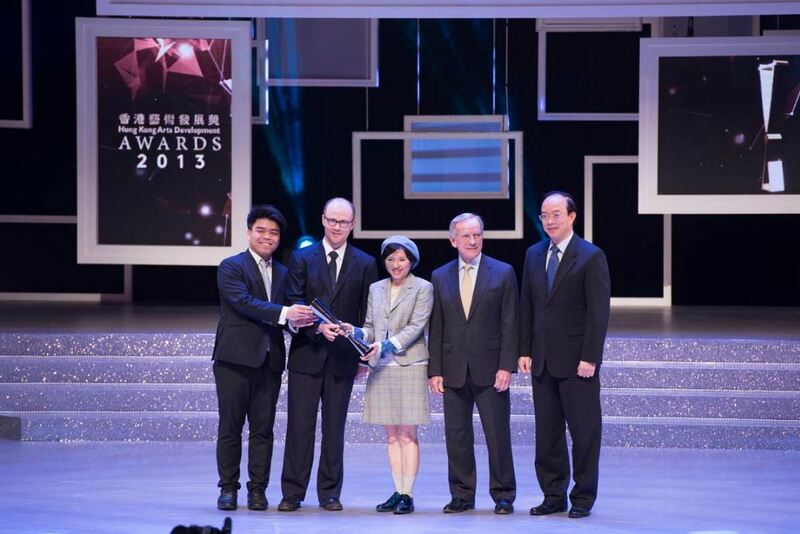 Ho received the Silver Medal awarded by the Hong Kong Institute of Architects with such design. This first decade was “the dream comes true”. Overseas Masters and local talents were featured in the Inaugural Exhibition, including Monet, Giacometti, Paul Klee, Chao Shao-an, Koo Mei, Gaylord Chan and others. In 1983, the Pao Galleries hosted Hong Kong’s first Video Art Exhibition, followed by the first installation arts exhibition in 1985. Ranging from avant-garde cartoon by Danny Yung in 1979 to masterly works of Zao Wou-ki in 1982, the HKAC began to take the lead to shape the Hong Kong art scene. Tao Ho explaining the plan of building HKAC to Sir and Lady Maclehose. In the second decade, the HKAC focused on diversification of the arts scene and pioneered into new realms. In 1988, the basement studio was converted into an avant-garde cinema, bringing forth the latest trends to the art scene. 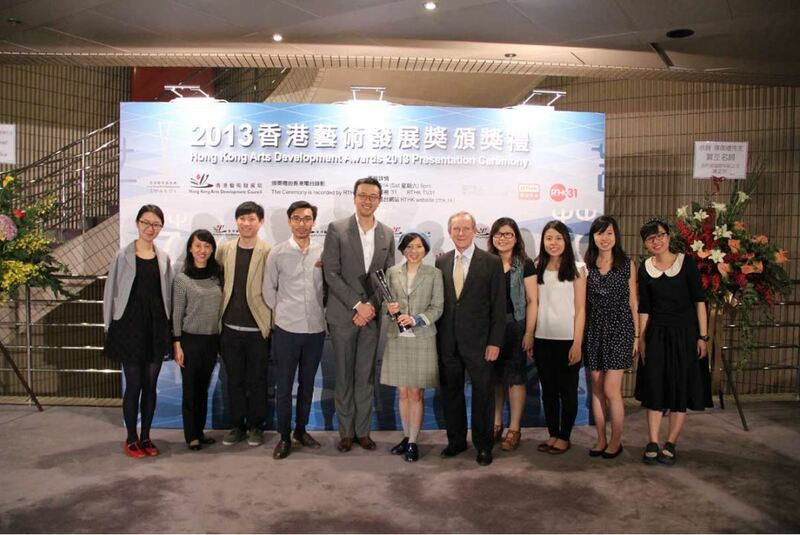 The HKAC also spearheaded the Hong Kong Independent Video Competition (i.e. ifva), which has impacted generations of Hong Kong and Mainland independent filmmakers. Meanwhile, HKAC rented out spaces to foster young local arts groups to further diversify the Hong Kong arts scene. In its third decade the HKAC shifted its focus to arts education to nurture talents of tomorrow. In 1998, the Education Department of the HKAC, later rebranded the Hong Kong Art School in 2000, started the part-time Fine Art Programme in collaboration with RMIT University. As Hong Kong’s first self-financed education provider specialising in Bachelor’s and Master’s programmes in Art, the Art School bridged a gap in Hong Kong’s professional art education programme. The HKAC also began its focus on Asian contemporary arts through initiatives such as the Little Asia Dance Network with regional drama groups, theatre-in-residence programmes hosting groups such as Theatre Ensemble (and later the Pleasure in Play) in 2004. In 2005, with the assistance of Cissy Pao Watari, the HKAC established Public Art Hong Kong, Hong Kong’s first organisation dedicated to the promotion of public art. In the fourth decade, the HKAC further expanded its range of programmes beyond the HKAC building. Street Music Series begun in 2009, and took local indie music outdoor. ifva held its first media art carnival at the Hong Kong harbour front in 2016. The HKAC ventured into filmmaking and produced the award-winning Big Blue Lake (2011) and Flowing Stories (2014). Exchange programmes were initiated, including the cross-cultural-media programme of A Taste of Hong Kong (Belgium), plus the participation of international events including the Angouleme International Comics Festival (France) and the Setouchi Triennale (Japan). At home, Artist Home Base was established (2012) to provide artist-in-residence and Comix Home Base, Hong Kong first comics and animation arts venue, was opened (2013). Annual Flagship Exhibition was launched (2009) to showcase the best Asian contemporary arts and Collectors’ Contemporary Collaboration was initiated (2013) on Asian collectorship. 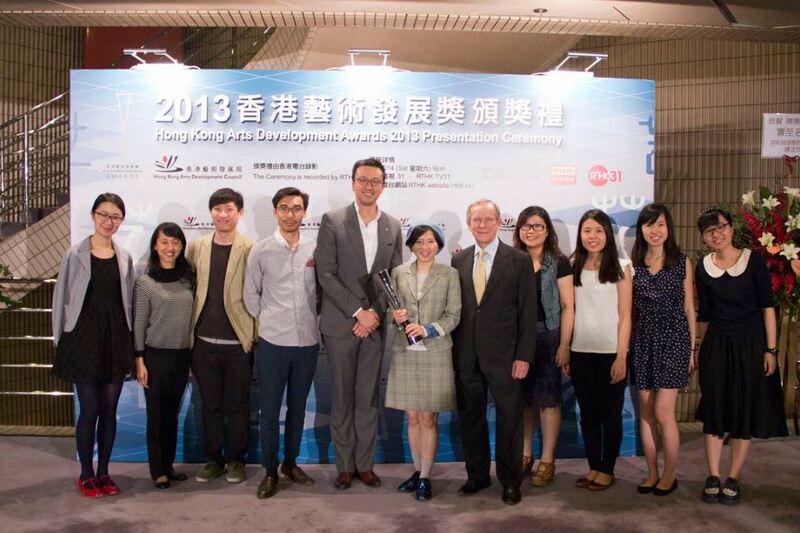 "Arts Xperience" project winning Hong Kong Arts Development Awards 2013 "Award for Arts Promotion"